The novelist Nnedi Okorafor is one of today’s most compelling YA authors. Her books offer a unique mix of African culture, science fiction and fantasy adventure, at once accessible to a wide audience and definitively rooted in a non-Western tradition. In her latest novel, Akata Witch, all the tropes of Harry Potter and its ilk – the hero’s journey of a young magician, schools of wizardry, teens caught up in a battle for the fate of the world – are rethought and refreshed through a cosmopolitan, transnational perspective that ditches the grey stone and largely white faces of Hogwarts for a tender yet uncompromising Afrocentric vision of the cosmos. Nnedi’s debut Zahrah the Windseeker won the Wole Soyinka Prize in 2008 – and Akata Witch (which I reviewed here for Brooklyn Rail), takes her writing to new heights. Sunny, the 12-year-old ‘witch’ of the title, is an albino African-American who returns to Nigeria, her parental homeland, only to be doubly ostracized for her pale skin and US background. Sunny gradually discovers that she has magic powers, and is destined to play a small but vital role in a conflict that threatens the future of humanity. Nnedi’s own career owes directly to such acts of irresistible fate. Growing up in the suburbs of Chicago, she was a teenage tennis star until surgery for scoliosis left her paralyzed and bedridden at the age of 19. 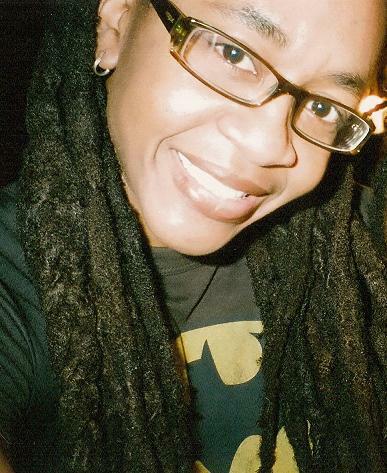 A friend recommended that Nnedi take a creative writing class, beginning a journey that took her through journalism, short stories and a PhD thesis en route to her current career as a novelist. This philosophical perspective shapes even the most action-packed moments of Nnedi’s writing. In Zahrah, a key moment involves the teenage heroine’s encounter with a giant, deadly ‘whip scorpion’, from which she is ultimately saved by an even larger jungle beast. What seems corny in George Lucas’ hands (for a while, I wondered if ‘There’s always a bigger fish’ was going to replace ‘I’ve got a bad feeling about this’ as the inane Star Wars catchphrase), here ties in to Nnedi’s ideas about humility and fate. 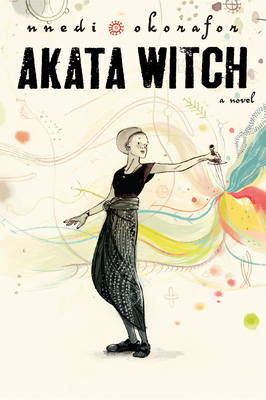 In Akata Witch, Sunny is no Harry Potter, a ‘chosen one’ destined to be a key player in the battle for the survival of t he world. Nnedi’s writing offers one balm for this uncomfortable truth: the realization that we must appreciate the gifts that life chooses to grant us. The thrill of Sunny’s first soccer match grips the characters, and the reader, just as much as the climactic final showdown. Akata Witch may puncture the comforting notion of a guaranteed “special destiny,” but it also celebrates the shared adventure of everyday life on our planet. Next time on Books and Adventures, more from my interview with Nnedi Okorafor, as we discuss her genre-busting position as a Young Adult writer whose work refuses to be pigeonholed. Find the second part of the interview here. I am really glad to see you write about Nnedi because I just finished reading The Shadow Speaker at the weekend. What a wonderful imagination she has got. It was so interesting to read a fantasy fiction story with this strong African voice. A great YA writer indeed.